Amongst the many factors you should consider when hiring a home technology professional for your project, their approach to ongoing service and maintenance of your technology systems is arguably one of the most important. Your home technology will likely require more upkeep and maintenance than any other system in the home. For all of the convenience, security, comfort, and entertainment these systems can provide, technology is imperfect and ever-evolving. Occasional device reboots, advanced troubleshooting, system updates, and ongoing user-education should be understood as part of the deal. And hiring a firm that is positioned to give you the level of responsiveness you will need is vital to ensuring that you have a good overall experience. The challenge is that, unlike factors such as years in business or pricing, evaluating a firm’s service approach can feel very subjective. So, how do you go about getting a clear picture of whether a given company will provide the kind of service you will require? Here are five questions you should ask that will help you assess your options. 1) Do They Offer Guaranteed Response Times to Service Events? One of the first questions you should ask your candidates is if they offer guaranteed response times to all service events. Technology failures are not a matter of if, they are a matter of when. And it is inevitable that some of these failures will occur at exactly the wrong time, such as right before a dinner party or the big game. Although response times are an important consideration for all service events, these urgent situations highlight perfectly how critical a guaranteed response can be. The best companies will have a formalized policy for this, usually documented in their contract or a separate Terms of Service (ToS) agreement. A growing number of companies are also offering premium service plans which offer guaranteed prioritized response times - something you should seriously consider given the growing role of technology in the home. Beware of companies that simply say they respond to all events “as quickly as possible”, which is widely open to interpretation. 2) What Are the Hours of Availability During Which They Will Guarantee a Response? Technology does not wait until between the hours of 8-5, Monday through Friday to fail. In fact, technology failures can and will occur any time, any day. And these failures are most likely to affect you when you use the system most, which is to say evenings and weekends when you and your family are home from work / school. Ask candidates about the hours of operation during which they will guarantee a response. 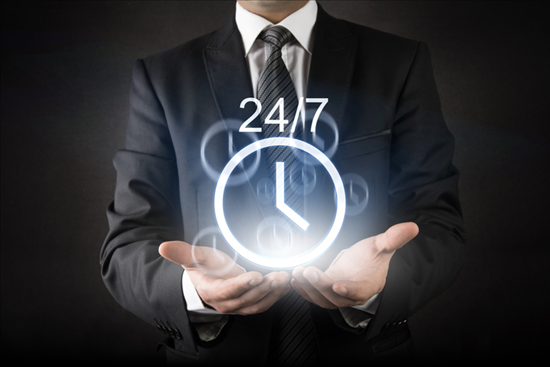 24/7 is an ideal answer, and an increasing number of home technology companies are providing this around-the-clock service. At a minimum, you should look for a company that provides extended hours such as 9AM - 10PM, 7 days a week. 3) Do They Offer a Dedicated Support Phone Number and Email Address? Asking your candidates if they offer dedicated channels of communication for support will give you a sense of their commitment to service. If their answer is simply to call the office, then you should ask what happens after-hours when everyone has gone home. As mentioned above, many of your service needs will arise on evenings and weekends. Some business owners or salesmen will direct you towards the use of their personal cell phones for these after-hours events. But what happens if the individual you are trying to reach is unavailable for any number of reasons? A company that is truly committed to service will typically have a dedicated phone number (or extension of their main line which forwards to an on-call technician), as well as a dedicated service email address. Responsibility for covering these channels is handled by a formalized, rotating on-call schedule. Having these systems in place is a strong indicator that the company is committed to ensuring you can reliably count on reaching someone when you need it most. 4) Do They Use a Ticketing System to Track Service Events? On the surface, this may seem like an internal operations concern which may or may not have a direct bearing on your technology experience. However, it is highly recommend that you ask the question as a surprising number of companies do not have any formal system for tracking service issues. Any company that takes service seriously should have an answer at-the-ready. If they are caught off guard, or tell you they do not need one, then beware. While it does not necessarily have to be a full-blown, enterprise-grade ticketing system, the use of some sort of tracking software for service events is the only way to reliably prevent issues from falling through the cracks. Companies that do not have these systems in place are much more likely to leave you in the lurch, especially when they get busy with projects or a high volume of other service events. While companies who properly leverage ticketing systems are much more likely to effectively and reliably manage your service needs, every time. A growing trend in the industry, RSM technology is designed to give companies highly-sophisticated remote tech support capabilities. These systems consist of a small piece of hardware, usually called an “appliance”, which gets installed in your home. The appliance monitors the status of your connected devices 24/7, securely sending vital information about the overall health of the system back to a central dashboard. 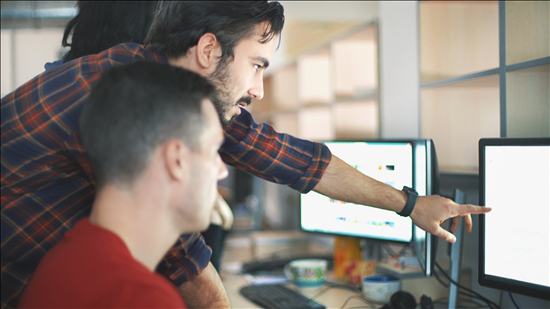 RSM platforms enable powerful remote troubleshooting capabilities, which companies can leverage during remote tech support calls to resolve many issues instantly, without you having to wait for an on-site service call to be scheduled. Additionally, a growing number of companies offer premium monitoring services which leverage this information to proactively address issues on your network, often before they affect you and your family. When assessing your home technology options, it can be easy to get absorbed in discussions about differing product ecosystems and feature sets. But during this process it is important to remember that the company you hire, and specifically their approach to ongoing service, will have just as direct a bearing on your overall experience than the technology itself. While this can feel much more subjective than comparing pricing and spec sheets, the questions laid out above are designed to give you a clear view of a given company’s level of commitment to this all-important consideration.